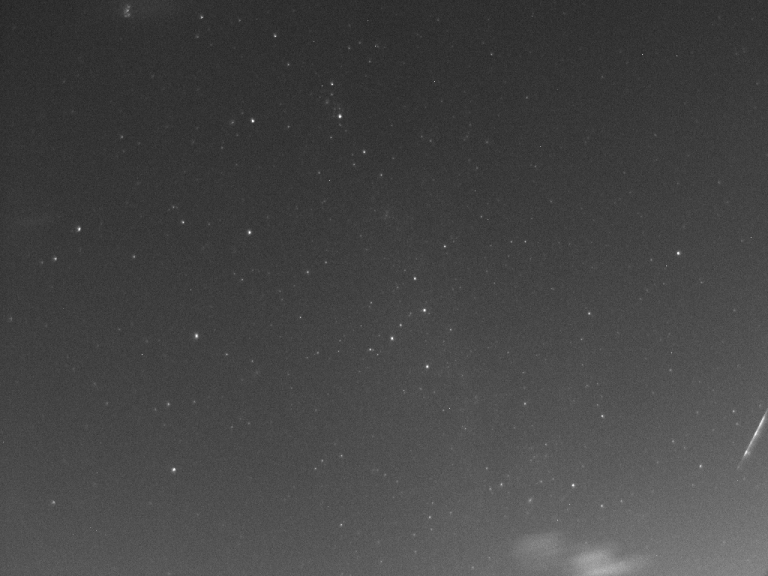 15th December 2017 00:15 UT. 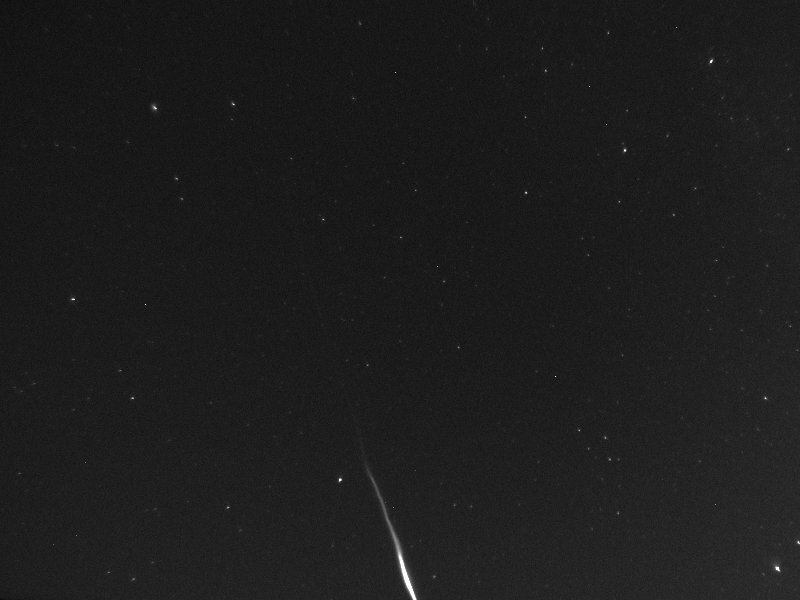 Bright Geminid. 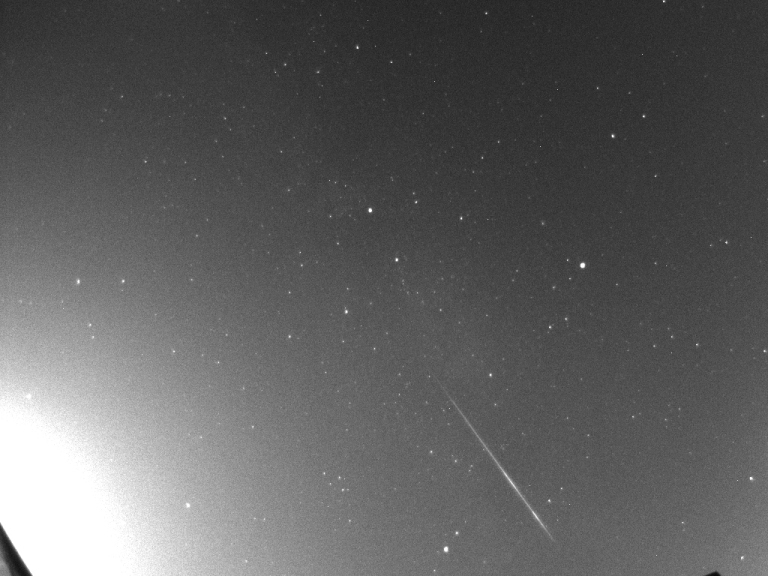 17th November 2017 04:02 UT Sporadic Meteor. 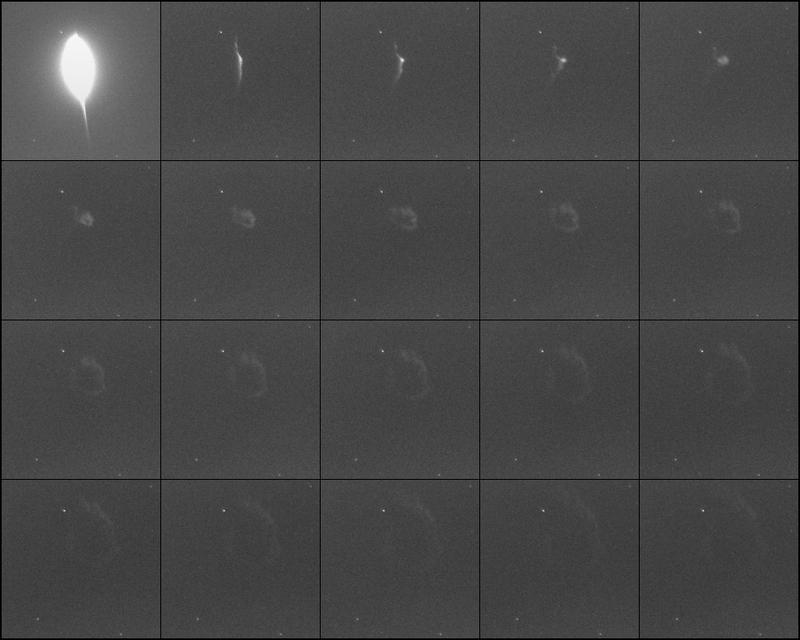 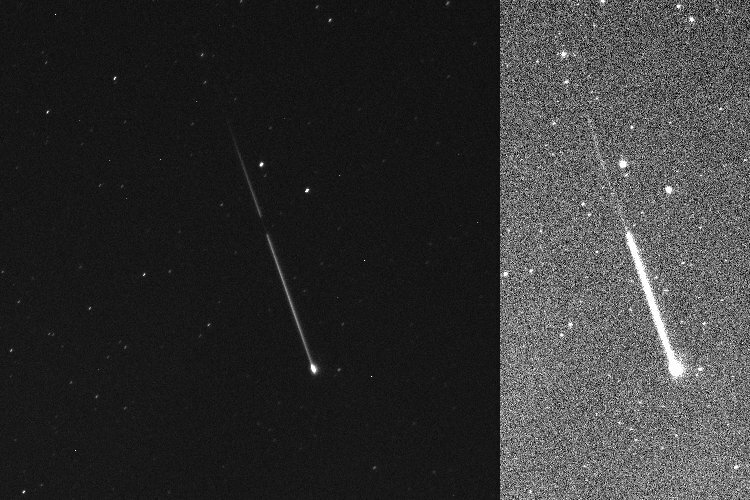 Composite of 2 frames (left) and contrasted stretched 2nd frame. 14th December 2013 02:19:59 UT. 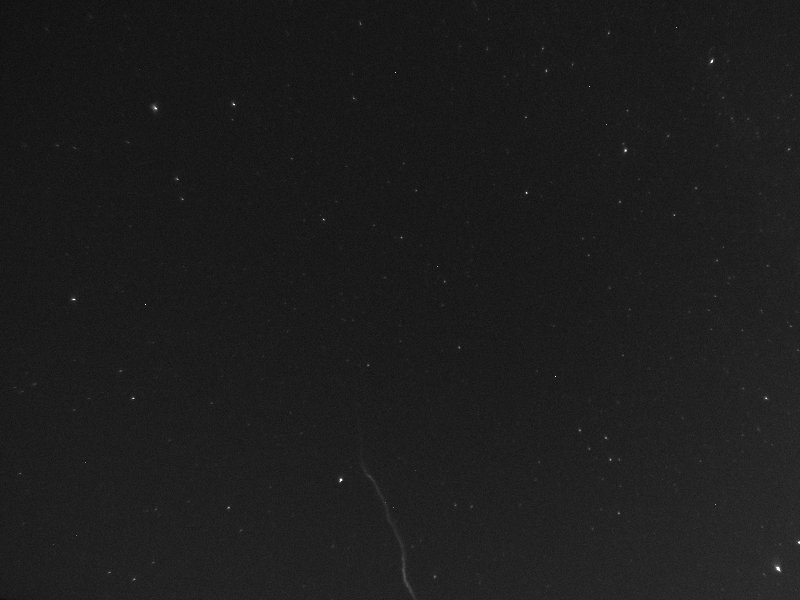 Geminid (Lynx, Camelopardalis). 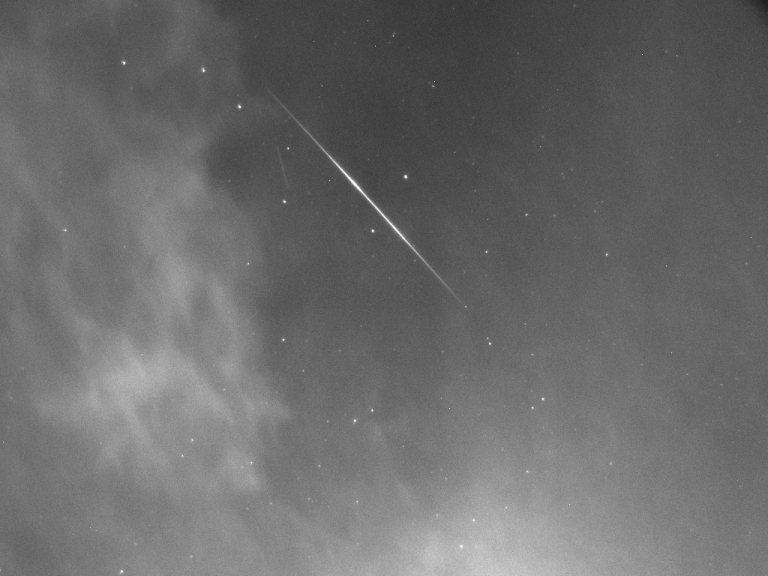 13th August 2013 01:47:14 UT. 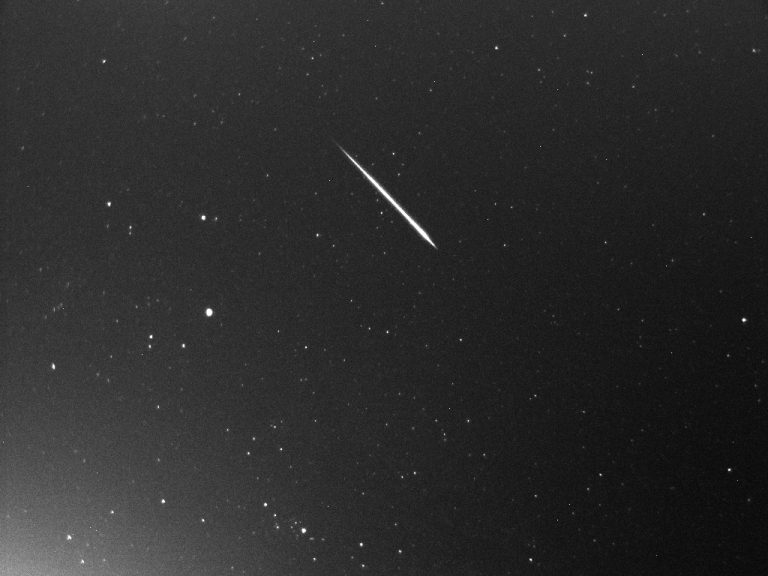 Perseid (Pegasus). 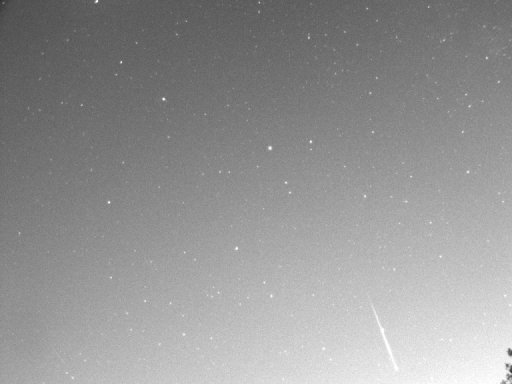 12th August 2013 22:35:49 UT. 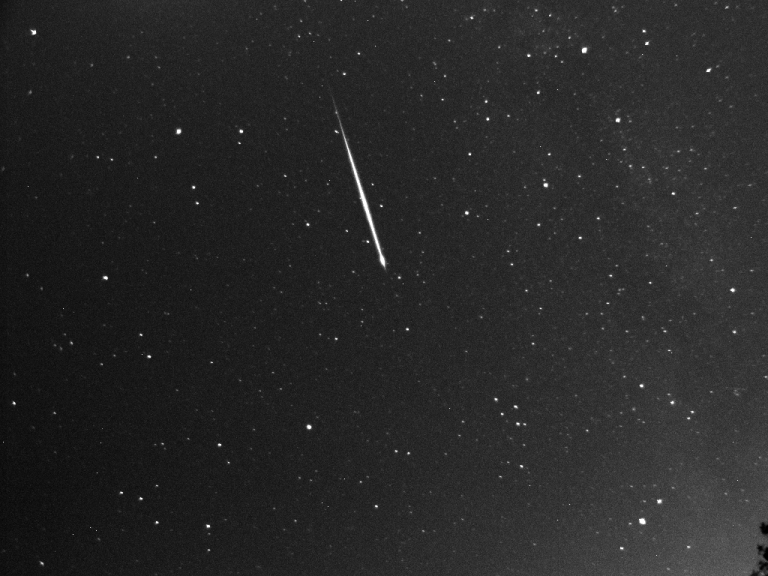 Perseid (Ophiuchus). 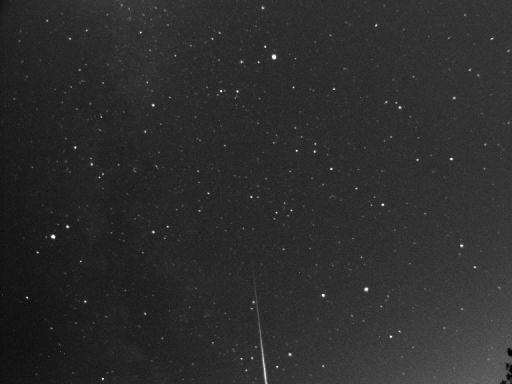 13th August 2013 03:16:51 UT. 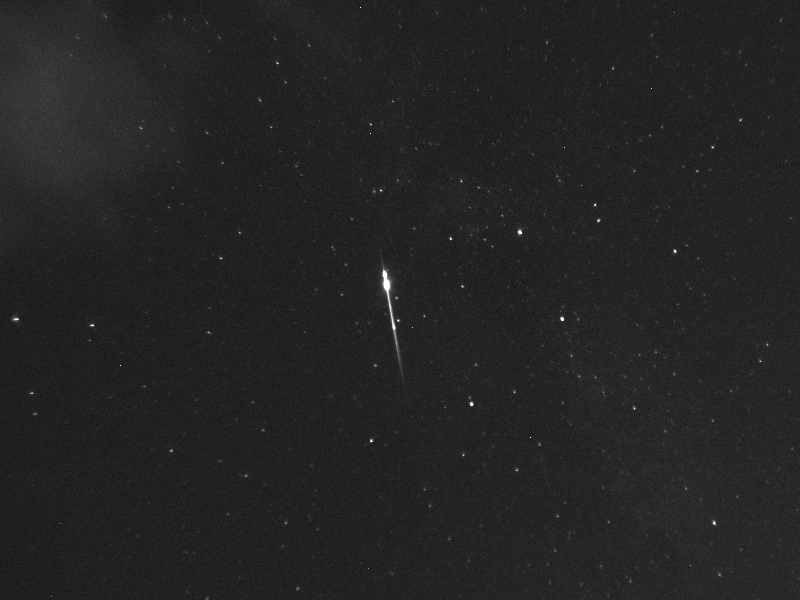 Perseid (Pegasus). 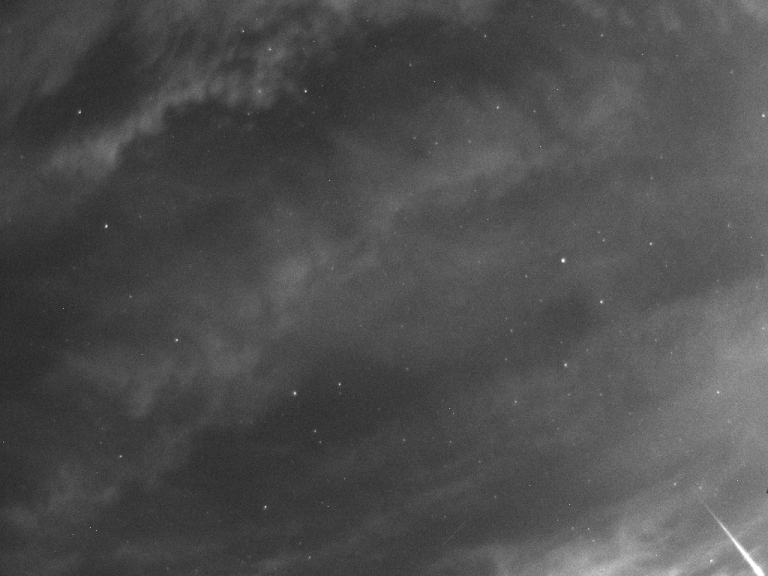 Sky brightening. 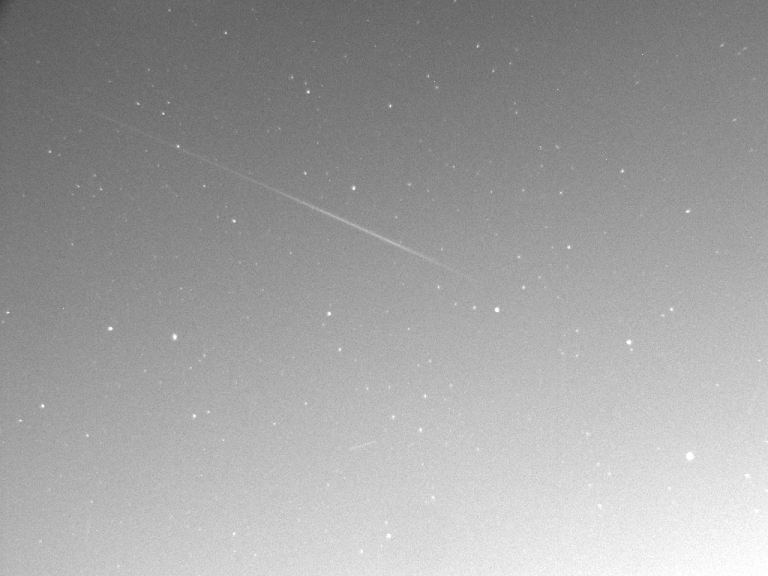 7th May 2013 02:55:50 UT. 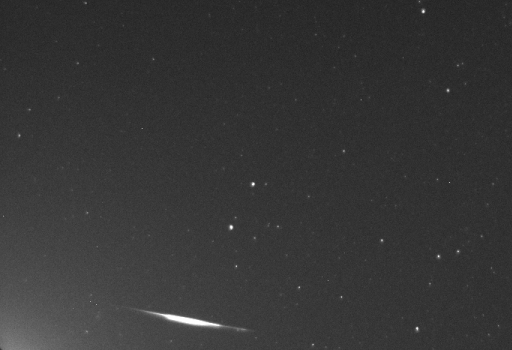 Eta Aquarid (Hercules and Corona Borealis). 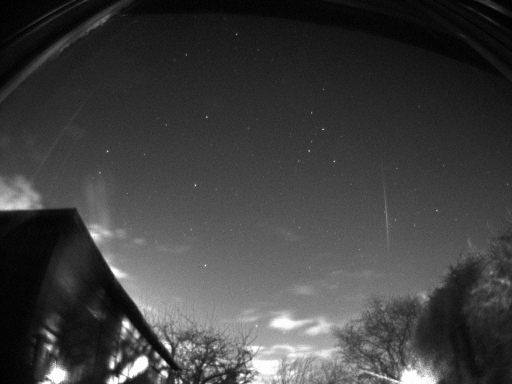 Sky brightening at dawn. 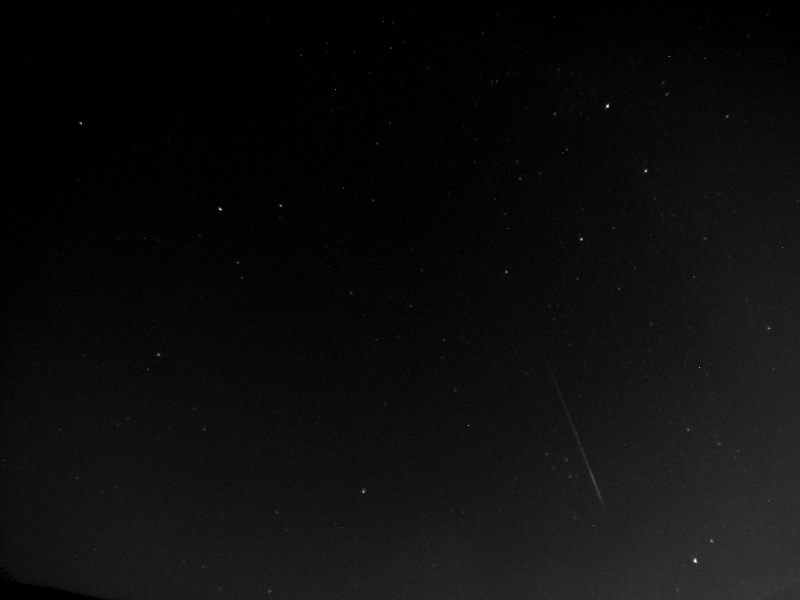 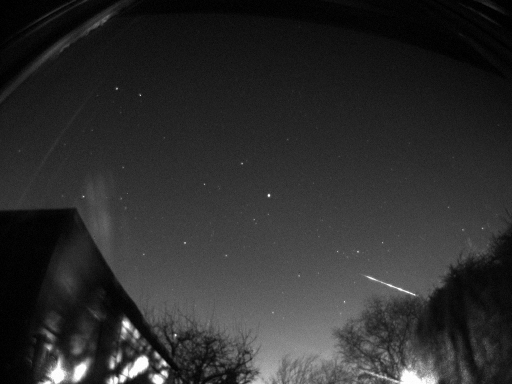 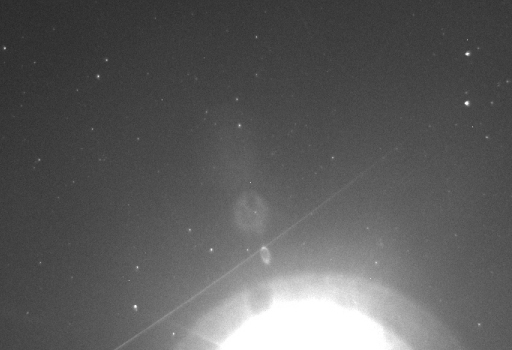 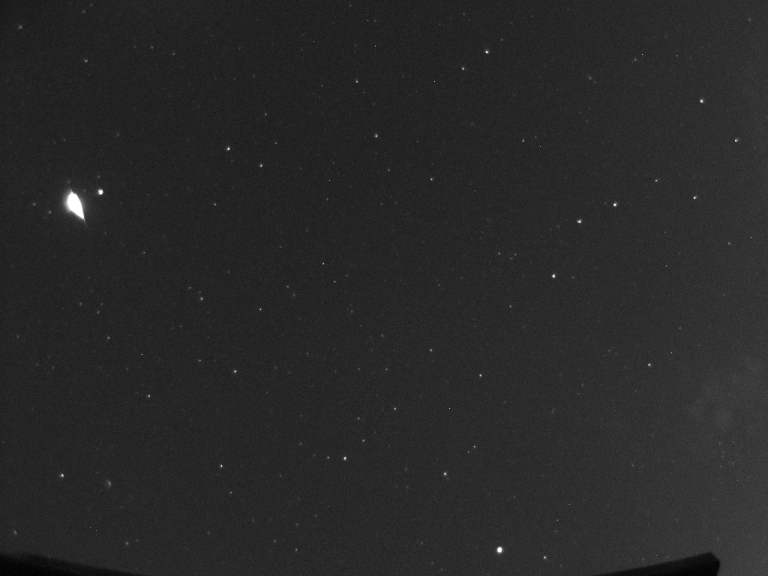 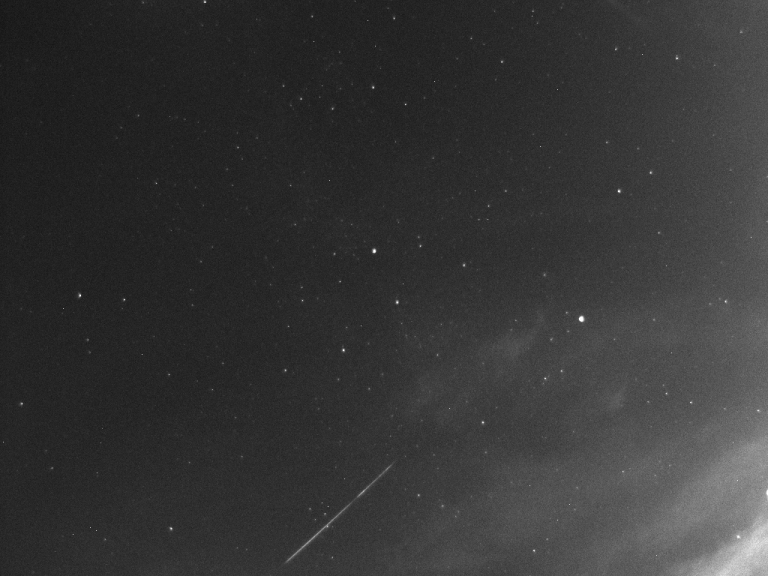 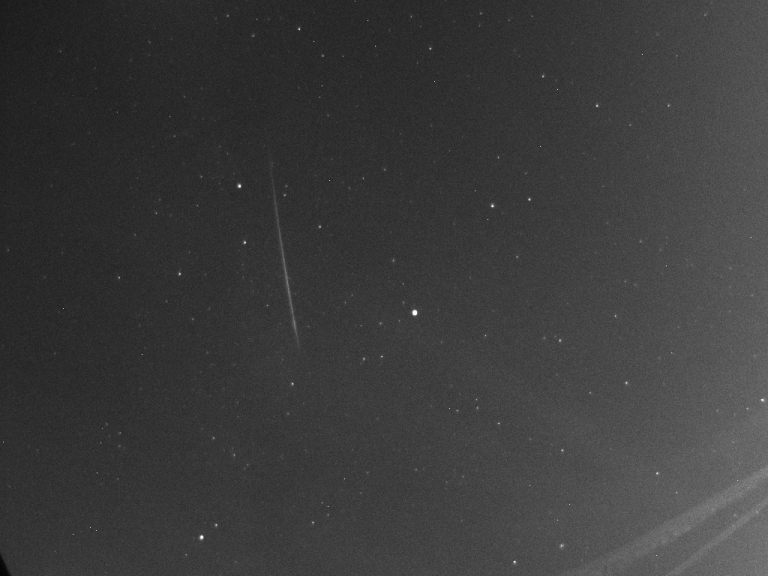 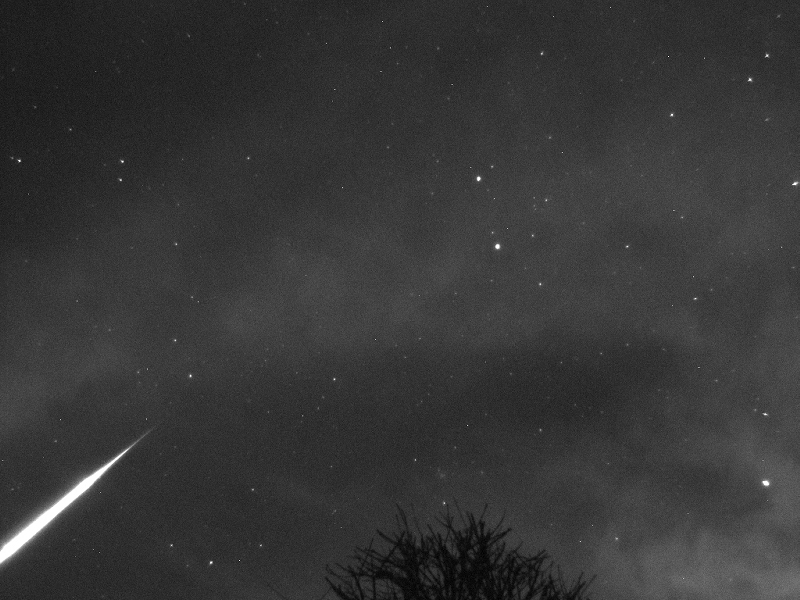 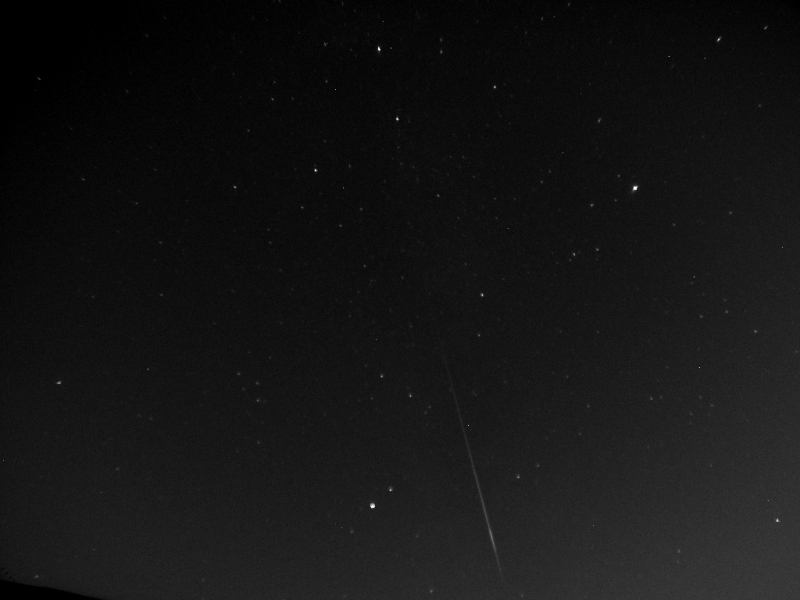 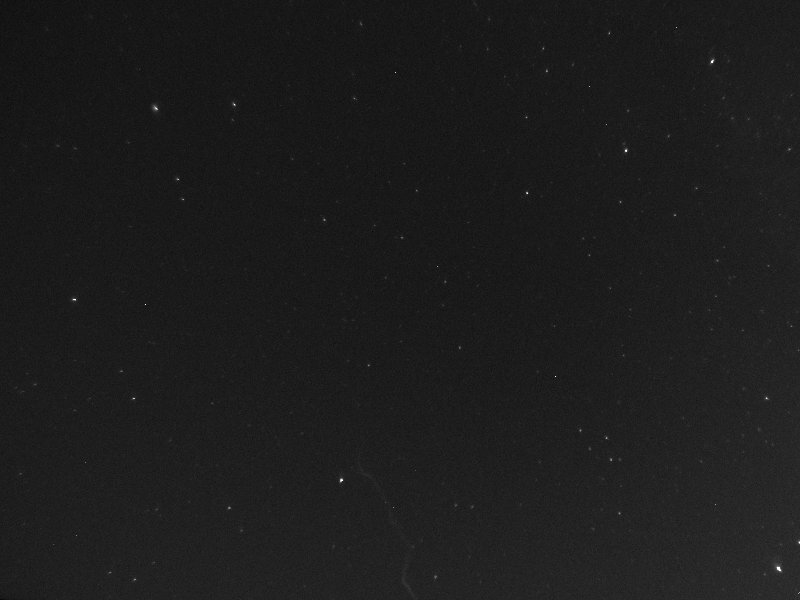 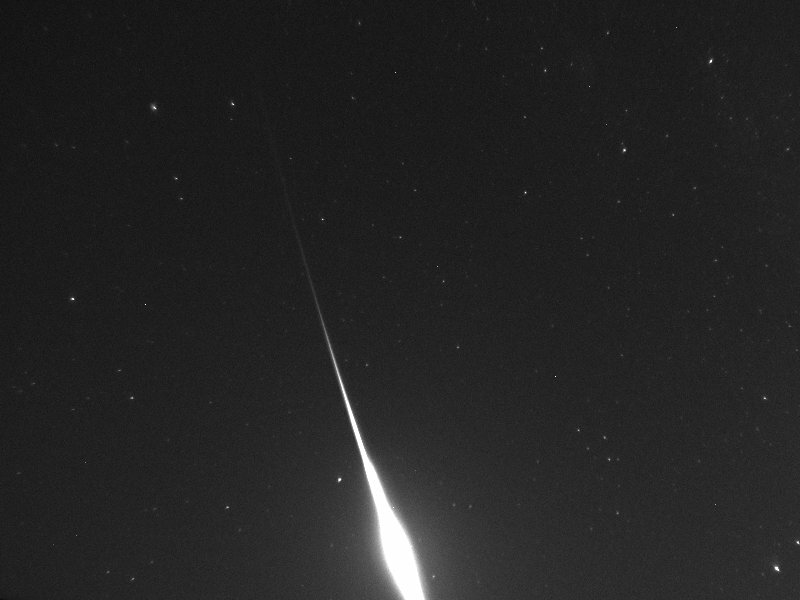 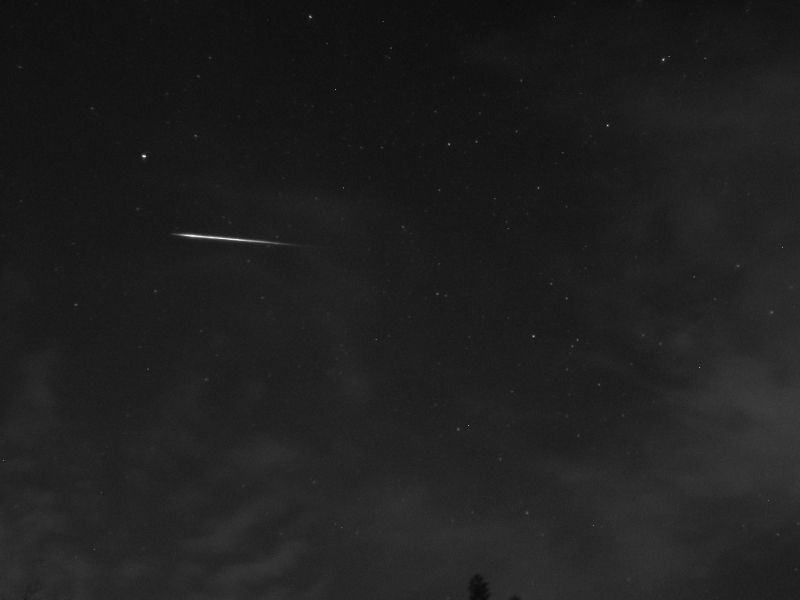 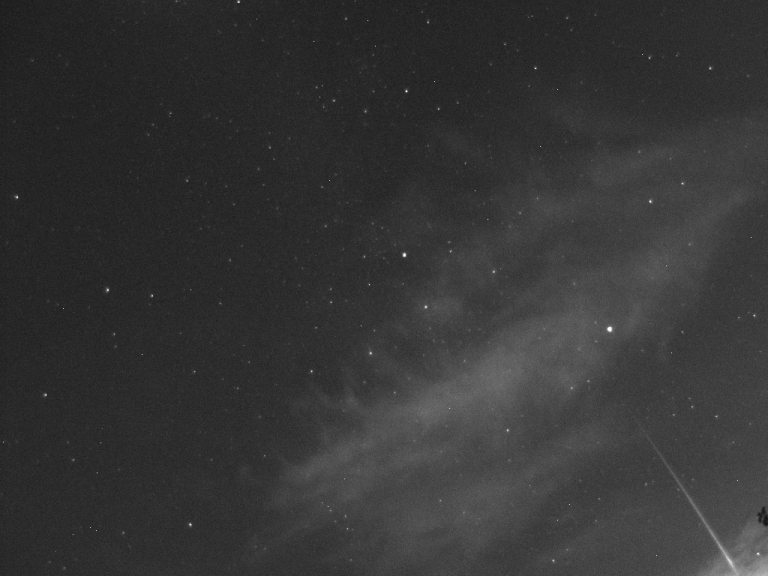 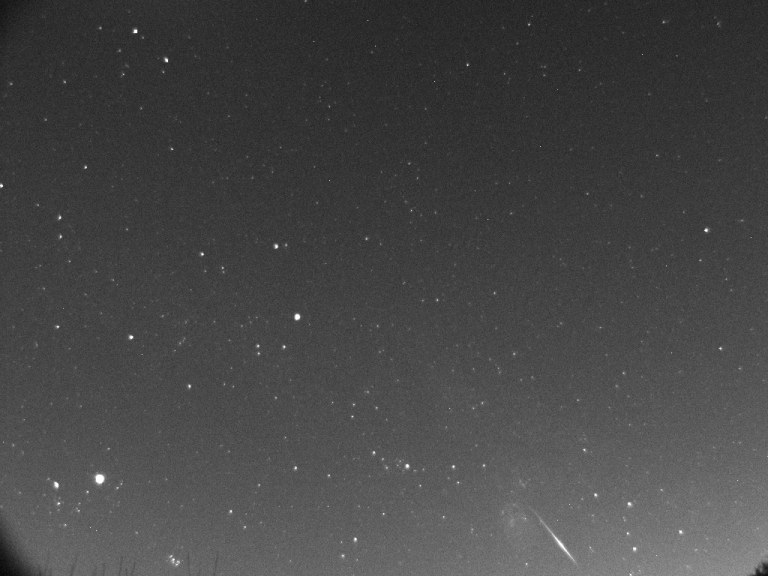 Bright Leonid Meteor/Fireball with train in Ursa Major (brightest star near meteor is Merak). 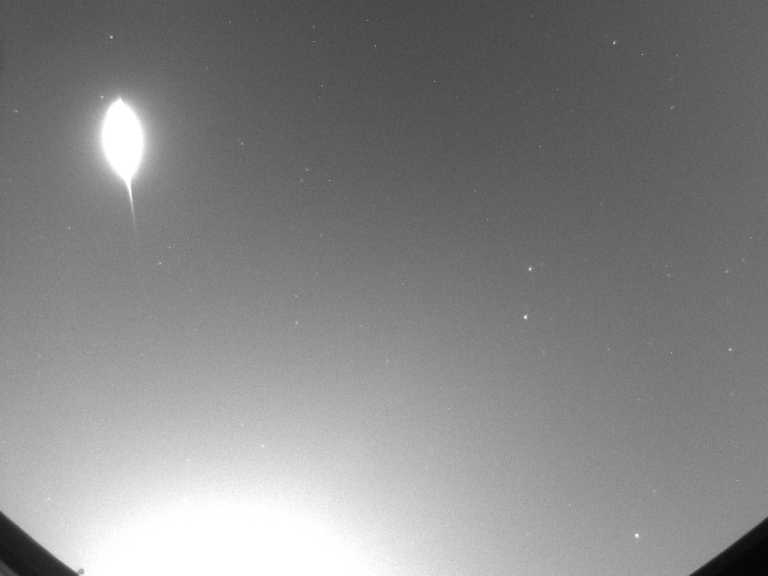 Misty observing condition and Moon nearby.